A few 'firsts' in Hebrew. All stories mentioned here took place between the 3rd and 20th century, when Hebrew was (supposedly) 'dead'. If you know of earlier examples, I’d be glad to know. The first medical book in Hebrew is Sefer Harefuot (ספר הרפואות) - the Book of Medicines, written by Assaf ben Berechiah. He was also known as Assaf Harofe (Doctor Assaf), and is commemorated by the Israeli hospital of that name. He lived in Israel around the 3rd-7th century, as can be seen (among other things) by the purity of his Hebrew and by the fact that he was influenced by Talmudic and Greek knowledge, but not by Arabic medicine. The book expects physicians to uphold a high moral standard. It discusses illnesses, treatments and prevention and prescribes exercise, healthy food and sanitation. It also describes around 100 medicinal herbs and stresses cheap medicines which can also be afforded by the poor. The book also describes Israel's climate, waters and natural resources. The book was known in France in the 9th century, and later in Italy as well. In the introduction Assaf brings an oath and prayer for Jewish physicians. Full oath here in Hebrew and English. The first Hebrew poem (that we know of) that was written by a woman, was written by Mrs. Donash Labrat, who lived in 10th century Spain. Her poem was discovered in the Cairo Genizah, in an exchange of letters with her husband, the famous grammarian and poet. In this poem Mrs. Donash chastises her beloved for leaving her and the family while he traveled to far-off lands. וְלוּ לָקַח חֲצִי מַלְכוּת נְגִידָהּ? Cradling her son and left alone? Is not his arm wrapped with her precious stones? If he’d been given half her prince’s throne? Original and translation via Soul and Gone. The only other Hebrew poetess of the medieval era that we know of is Merecina from Gerona, who lived in the 14th-15th century and wrote a piyyut which begins: "מי ברוך נורא ואדיר" ("Blessed, Majestic, and Terrible"). Samuel Vivas was born in Israel in 1550. He served as a rabbi in Safed, then practiced medicine in Cairo, then he moved to Istanbul and finally to Italy. In 1593 he converted to Christianity and changed his name to Domenico Gerosolimitano (Domenico of Jerusalem). Then he got a new job - censoring Jewish books. In fact, many Hebrew-speaking Jewish converts worked as censors for the Church, and so Samuel/Domenico wrote a helpful instruction manual for them, which he named Sefer Hazikkuk (ספר הזיקוק), the Book of Censorship. The book lists general rules for censoring Jewish books and discusses specifically 426 Hebrew books. All mentions of the term משומד (apostate) which are not insulting should be replaced by עכו"ם, but if it is insulting it should be erased entirely. Any praise to the people of Israel which implies disgrace for us, and is understood to be referring to the present time, should be entirely erased. See here for the full intro in both English and Hebrew. It’s interesting to note that back in those days, self-hating Jews converted. They didn’t work for the enemy while claiming to still have Jewish interests at heart. In today’s world, Samuel might have remained Jewish and would have justified to himself that by censoring our most holy books he was just helping Judaism and Jews. Otherwise the nations might hate us and we would bring ruin upon ourselves. In 1866 a man in Minsk by the name of Mordechai Aharon Teomim decided to raise his newborn son in Hebrew, and only Hebrew. Indeed, they wrote about it in the "Hamagid" newspaper, hoping that other people would follow in his footsteps. Eliezer Ben-Yehuda was only 15 at the time, so he probably missed it. As is commonly known, Hebrew was a dead language for close to 2000 years. The speaking of Hebrew ceased about 200 CE (...) Since 1881 Hebrew again became a language spoken by the people. Note the exact date when Hebrew became a spoken language again. 1881. 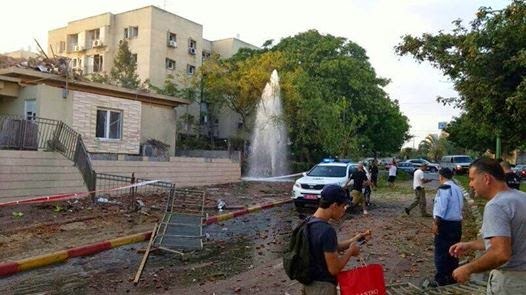 Unsurprisingly, this is the same year when the first Zionist aliyah began and when Eliezer Ben Yehuda came to Israel. So what happened between 200 and 1881? Hebrew was dead and Jews had no common language, right? In 2009, Shlomo Sand published The Invention of the Jewish People, in which he claimed that Jews have little in common with each other. They had no common "ethnic" lineage owing to the high level of conversion in antiquity. They had no common language, since Hebrew was used only for prayer and was not even spoken at the time of Jesus. Yiddish was, at most, the language of Ashkenazi Jews. So what is left to unite them? Well, let's go back to what Rabin has to say. [The Jews] did indeed speak [Hebrew] sometimes, on the Sabbath, or when they desired not to be understood by gentile bystanders, or with Jews from other countries; but this ability to speak occasional Hebrew did not move them to any attempt to speak Hebrew at all times. He's right. Jews did not speak Hebrew at all times. But if Hebrew was a dead language and if Jews did not speak Hebrew, how were they able to speak it occasionally? The answer is that while Hebrew was not 'alive', it wasn't 'dead' either. As much as people like Shlomo Sand would like to think otherwise, the Jewish people have had two constants in their history which united them into one nation: a common land and a common language. And just as there were constant attempts to renew the land, there were constant attempts to renew the language. It's easy today to dismiss those attempts, because they were not as successful as those of the past century or two, but it is a mistake to do so. We build on the efforts of those who have come before us. If the Jews of the 5th, 10th, and 15th century hadn't taken concrete steps to renew Jewish sovereignty in Israel, we wouldn't have been able to do so in the 20th century. And if the Jews of the 5th, 10th and 15th century hadn't written and used Hebrew and hadn't taught their children to do the same, we wouldn't have been able to do so today. Other nations today want to emulate us and cannot understand why the Jews were so successful in returning to their land and language and they are not. They do not realize that keeping your link to your ancient heritage is a lot of hard work. Once you let it go, it is almost impossible to get it back. In the years when Hebrew was 'dead', Jews created an impressive body of literature, from religious works to historical narratives, translated works and original creations, poems, plays and personal letters. In some cases, they also spoke Hebrew. This article is the first in a series. In future articles I will discuss the history of our language. I'll end here with a short quote from Yannai, one of Israel's foremost poets. This piyyut (hymn) was written about 1500 years ago, when Hebrew was officially 'dead' for over 300 years. It was part of the prayer for the Torah portion relating to Jacob's return to the land of his ancestors. In simple, clear language, Yannai draws the parallels between Jacob and his descendants - the Jew standing in prayer - both of whom are named 'Israel'; between returning to the land and returning to God. Yannai, who lived in Israel, points out that no matter where we go, we will always be strangers in a strange land, and he asks God to return us, in peace and quiet, as sovereigns in our homeland. 393 years ago, at the beginning of Kislev (November 1621), Rabbi Isaiah Horovitz entered the gates of Jerusalem. He commemorated this uplifting event by naming the prayerbook he wrote "The Gate of Heaven". The Parsha, the portion of the Torah read that week, was Vayetze, which tells us of Jacob's dream. When Jacob wakes up, he looks around and says 'How full of awe is this place! this is none other than the house of God, and this is the gate of heaven' (Genesis 28, 17). The gate of heaven is Jerusalem. Rabbi Isaiah Horovitz is more well-known as the Shelah Hakodosh (The Holy Shelah). As is common among Jews, the Shelah is named after his book "Shnei Luchot Ha-Brit" (Two Tablets of the Covenant). The book was printed only after he passed away. The Shelah was a great Torah scholar. He served as a Rabbi and Dayan (Judge) in various cities in Europe: in Ostroh and Dubno in Ukraine, Frankfurt in Germany and Prague in the Czech Republic. When he was about 45-50, after his first wife passed away, he decided to move to Israel so he could better study Kabbalah (Jewish mystic thought). He traveled to Israel via Syria. The two main Jewish communities in Israel in those days were in Safed and Jerusalem. Both communities sent emissaries to convince the Rabbi to accept a position as their leader. The emissaries from Safed made it first and met the Shelah in Damascus, where he told them that he intended to stay in Safed anyway for a few days and that they could talk further there. The Jerusalemite emissary met the Rabbi on his way out of Damascus. The people of Jerusalem were generous in their offer as they were concerned that Safed would bait the Rabbi before they even got there. And so they offered the Shelah to be head of both the Rabbinical court (Av Beit Din) and the Yeshiva in the Holy City. They were willing to pay him any salary he wished. But the Shelah didn't need convincing: he was simply overjoyed that he could realize his dream and live in Jerusalem. He even refused to accept a salary, because he knew that the Jerusalem community was sunk in debt, and instead he asked for a furnished apartment and for the community to cover his tax bill. An apartment, because "there is not much room in Jerusalem, because the Ashkenazi community in Jerusalem is twice as large as that of Safed, and it's growing daily." Of all the letters he sent to his family and friends in Europe, two survived - one from his stay in Safed and one from Jerusalem. From those letters we learn both of the general situation in Israel in those days, and of his great love for the Land and especially Jerusalem. He writes that in Jerusalem "Jews have lived continuously for hundreds of years". Throughout history, the only times when Jews were absent from Jerusalem were those times when they were banished from the city - under Byzantine and Crusader occupation. But Jews always returned to their most cherished city as soon as it was possible again. In the Shelah's days, at the beginning of the 17th century, the Golden Age of Safed was at an end, while Jerusalem was flourishing. The Shelah writes that in Safed he found abandoned, ruined synagogues with Torah scrolls inside. "The Muslims don't touch them, in fact - they treat them with respect." In Safed the Jews suffered from marauders as the city was unwalled, while in Jerusalem the Ashkenazi Jews were living in a closed compound. When the Shelah got to Safed, his first stop in Israel, he writes: "I fell on the ground and kissed the stones and earth." 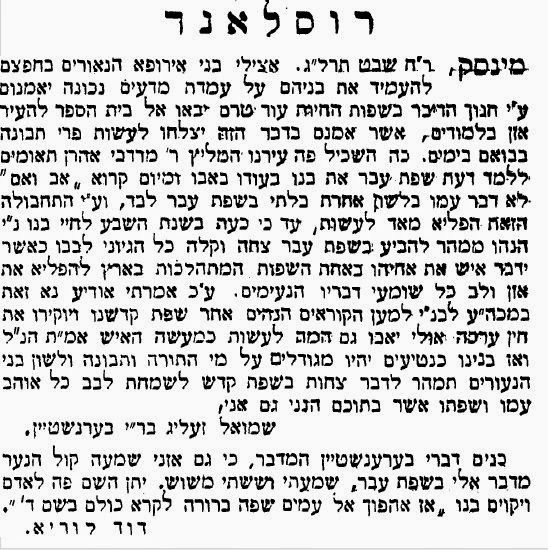 In Safed he was honored with copying the book "Magid Meisharim", one of Rabbi Joseph Karo's mystical works. He also visited saintly tombs in Safed and the surrounding area. From Safed he traveled to Jerusalem, journeying via Meiron, Tiberias and Nablus (Shechem). At every stop, he visited the local holy sites. From Jerusalem he reported that the city is as big as Krakow. "And every day more and more grand buildings are built... we see the Ingathering of Exiles every day. Every day they come. Walk the streets of Jerusalem - it's filled with Jews, Yeshivas and children studying." The Shelah was asked by his acquaintances back in Europe whether Jews are allowed to live in Jerusalem, since there's a concern they'll accidentally step into sacred areas and by so transgress. But the Shelah, despite being very strict about such matters, wrote that there's no problem at all, since the area of the Temple Mount is well-defined and obvious to anybody who comes to Jerusalem. The opposite is true, he wrote, not only are Jews allowed to live in Jerusalem, they should live there. 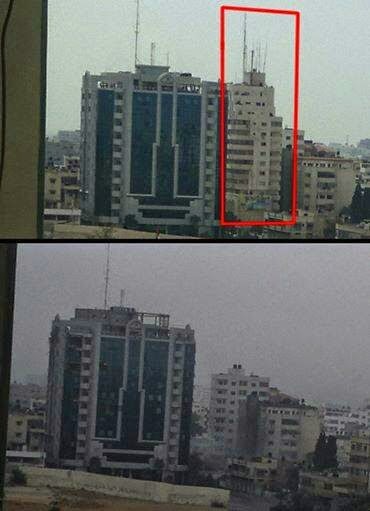 Jerusalem is especially the place for the more observant Jews. More Jews followed in the Shelah's footsteps, and the Ashkenazi community grew, as did the Sephardi one. Life was not easy in Jerusalem. In the Shelah's first year there, a famine hit the city and the rabbi fell into debt. But despite that, he did not request a salary, since he knew the community itself had no money. In fact, he warned Jews who thought of coming that they should not expect to rely on charity as the local community was very poor. In 1625 the despot Muhammad Ibn Faruch took power in Jerusalem. We learn about his reign from a pamphlet titled: "The Suffering of the Jews of Jerusalem in the Days of the Pasha (Governor) Muhammad Ben Faruch". It was written by an unidentified Jew who wrote under the pseudonym - "Man of Jerusalem". With sharp Jewish wit, "Man of Jerusalem" tells us how Ibn Faruch terrorized the residents of the city - Muslims, Christians and Jews - so much so that he had to lock the gates to prevent them from fleeing. But his main victims were the Jews. In the summer of 1625, Ibn Faruch was sent to accompany the pilgrims to Mecca, and in his stead he appointed his brother-in-law, Othman. At first, the Jews were afraid of the acting governor, but when Othman told them that instead of the 'holiday gift' that the community was obligated to give him, he'd accept a new suit, they were ecstatic. "I think Othman's almost becoming Jewish," one of the community leaders said. "He spoke to me today with such great love." But this love did not last for long. The next day, on the Sabbath, Othman sent his soldiers to both the Ashkenazi and Sephardi synagogues and arrested 15 rabbis, including the Shelah. Othman demanded a very large ransom for his prisoners. After two weeks of begging by the Jews, he agreed to lower his demands just a bit, and the Jews managed to collect enough money to release nine of the rabbis. The six others remained in jail for a few more days and were released on Rosh Hashana, the Jewish New Year. The Ashkenazi rabbis fled Jerusalem to Safed. The Shelah lived in Safed for a few years and then moved to Tiberias. The synagogue where he prayed on the shores of the Kinneret is today a Greek-Orthodox monastery. About 200 years ago, the Jewish community was forced to sell some of its properties. The contract stipulated that they could buy the place back, but the Church has never allowed it. Today, Jews are not allowed to enter. The Shela left us a spiritual legacy which has sustained Jews till today. All of it is from the period when he lived in Israel. His book, Shnei Luchot Ha-Brit, written in Jerusalem, laid the foundations for the Hasidic movement, which sprouted a century later in Europe. Here in Israel, he had access to ancient manuscripts. In one of them he found prayers, which he copied. The most famous of them is today known as "The Shelah's Prayer" - a prayer for parents to say over their children. Out of his love for the Land, he also popularized the custom of reciting the Psalms "On the Rivers of Babylon" (Psalm 137) and "Shir Hama'alot" (Psalm 126) after the meals. The former expresses our longing for the Land, while the latter expresses our joy at returning to it. In the early 20th century, the great cantor Yossele Rosenblatt popularized the following tune for "Shir Hama'alot". The Shelah passed away about a decade after arriving in Israel. Life expectancy in Israel was very low at the time. The many hardships, government persecution, recurring plagues and earthquakes that hit every once in a while - all conspired to shorten the lives of the Jews who lived here. Despite this tough reality, the Shelah was filled with love for the Land, which he expressed in his books and in his letters, in which he called on Jews to follow in his footsteps and return to their Land. Every Sabbath, Jews read a portion of the Torah (the parsha). Today we read through the whole Torah in one year, but the ancient Israeli custom was to finish the Torah twice in a 7-year cycle. The Midrash are compilations of ancient synagogue Sabbath sermons, originating from the period knows as the Dark Ages (3rd-13th centuries) and mostly written in Israel. They generally follow the Israeli custom. Most Midrash focus on the first verse or two of the Israeli 'seder', the 'portion of the week'. Midrash Tanhuma was written in Israel around the 9th century. Here is my translation for one of the sermons for the seder starting "And these are the generations of Isaac" ("chapter 5" of Toldot, this week's parsha). You find that Israel tell God: "Lord of the Universe, see how the nations persecute us, they have nothing else to do but sit around and scheme against us", as it says in Lamentations 3:63 "Behold Thou their sitting down, and their rising up; I am their song." God told them: "Take no heed. They pass evil decrees and I cancel them. As it says 'I am their song'. The Midrash then continues, giving examples of Biblical history. Pharaoh wanted to kill all Jewish boys, but God did not wish it, and therefore it did not happen. Haman wanted to kill all Jews, but God did not wish it, and therefore it did not happen. Balak and Bilam wanted to curse the Jews, but God did not wish it, and therefore it did not happen. The Midrash then adds a conversation between the Roman emperor Hadrian and the Israeli Jewish leader Rabbi Yehoshua ben Hananiah. Hadrian: How great is the sheep that is surrounded by 70 wolves. Rabbi Yehoshua: How great is the shepherd, who saves it and guards it. Hadrian's question can be understood in different ways. He's either praising the sheep (Israel), who manages to withstand the hungry wolves (nations) around it, or he's praising the wolves, who are not eating the sheep. Rabbi Yehoshua answers him that it's not up to the sheep or the wolves, it's all in God's hands. Antisemitism is not new. Even back in the first millennium, the Jews who lived here in Israel felt that the nations of the world were scheming against us. Just like today, they asked themselves: Don't the nations have anything better to do? Don't they see the real evil in their world? As it says in the Sifrei, a Midrash written around the 3rd century: "Everybody knows that Esau hates Jacob". Esau is the Romans and the Christians. Jacob is Israel. Since then, the list of our enemies has only grown. It sometimes seems as though we are pressured like never before. But we should remember that nothing is new under the sun. Just as the Jews who lived here before us survived the antisemitism of old, we will survive the antisemitism of today. The wolves can continue howling, they can continue scheming against us, but we will survive. FirstEnergy Stadium, Madison Square Garden, Yankee Stadium? 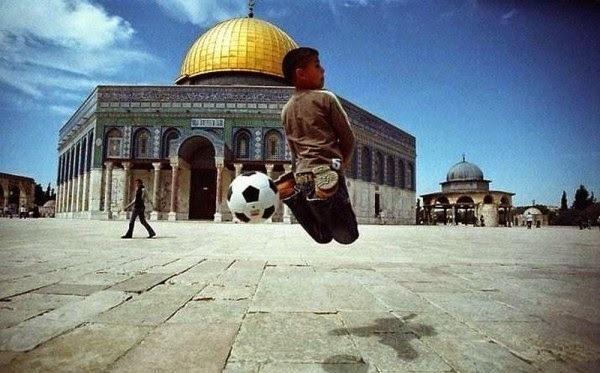 The Holiest Sports Arena on Earth is right here in Jerusalem...on the Temple Mount! Or as the rest of the world likes to refer to it, Haram al-Sharif. 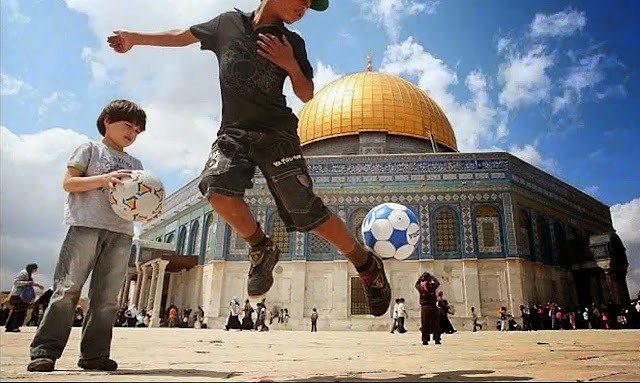 This holy place which "offends" Muslim leaders when Jews silently and peacefully walk through the area, is also the place where holy Muslim children play holy sports games, such as soccer (European football), volleyball and others. Yet it's a terrible provocation for Jews to walk there....let alone move their lips in silent prayer in the holiest sports arena on the planet. Where in the World is Mohammed Zoabi? Where is the Muqata's friend -- Israeli-Arab Zionist Teenager, Mohammed Zoabi? Many of you who have been following the Muqata FB page know about the Israeli-Arab Zionist teenager, Mohammed Zoabi - who proudly expressed his support for Israel, and not only condemned the abduction of the 3 Jewish teens this summer (as opposed to his infamous cousin, MK Hanin Zoabi -- the Hamas cheerleader in the Knesset), yet young Mohammed also threatened the terrorists that they should return the abducted teens safe and sound if they knew what was good for them. Mohammed was ultimately correct, and while the 3 teens were already murdered at the time unbeknownst to us all, -- the terrorists who abducted and murdered the teens were all killed by the IDF. Unfortunately, while Mohammad is a great example of loyalty, he received death threats and the police even uncovered a kidnapping plot against him -- by his own relatives! They planned to take him to a PA controlled city...for him to be "reprogrammed" and taught a lesson what happens when an Israeli Arab dares express loyalty to the State of Israel. We reported all this while it was happening, and then Mohammed went underground for his own safety. We respected his privacy...and kept him out of our newsfeed. 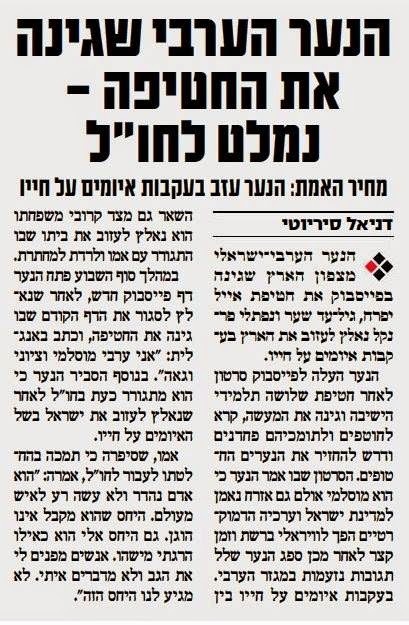 Today....in an article in Yisrael HaYom, we learn that not only has Mohammed gone underground -- he has LEFT ISRAEL for his own safety. What a tragedy that a brave Arab teenager has to flee Israel -- the same revolting Palestinian terrorism that he spoke out against, has been used against him to silence his criticism of terrorism and his loyalty to the State of Israel. 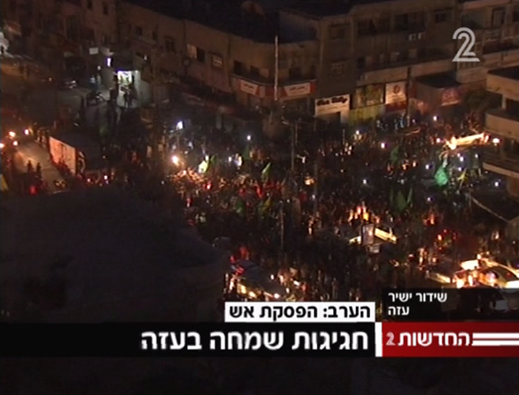 Mohammed Zoabi -- where ever you are, we pray for your safety, and thank you for your loyalty. Jameel and The Muqata Staff. The Israeli Arab teen from Northern Israel who condemned on Facebook the abduction of Eyal Yifrach, Gil-ad She'ar and Naftali Fraenkel has been forced to leave Israel due to death threats against him. The teen uploaded a video to Facebook after the 3 yeshiva high school students were abducted, and condemned the action, calling terrorists and their supporters "cowards" and demanded that the teens be released. In the video, the teen states he is a Muslim, and also a loyal citizen to the State of Israel and its Democratic values. The video went viral and shortly thereafter, the teem receives angry responses from the Arab community. In response to death threats, also from his family, he was forces to leave his house where he lived with his mother, and go underground. Over the past weekend, the teen opened a new Facebook page, after he had to close his previous one where he condemned the abduction. On his new page he wrote: "I am a proud Muslim, Arab Zionist." He also explained that he now lives outside of Israel after he was forced to flee due to death threats. His mother explained she supported her son's move outside of Israel and said of her son: "He is a wonderful person and never did anything wrong to anyone. The treatment he is receiving is unfair. The treatment I am receiving is as if I killed someone. People turn their back on me and don't speak to me.